I’m very proud to launch the HP 5400R zl2 Switch Series at HP Discover this week in Las Vegas. 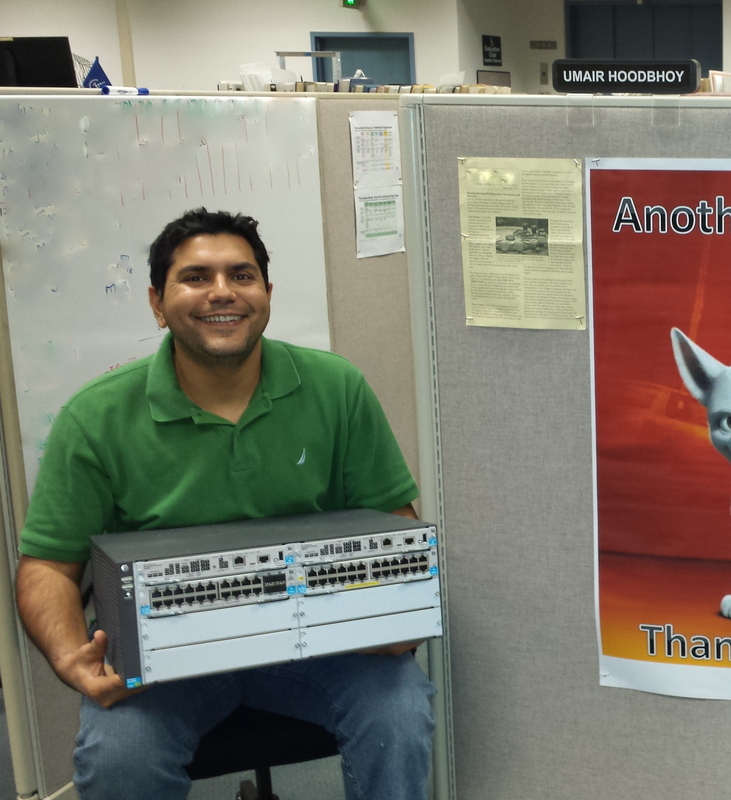 I am the Product Manager of this switch, which is a line extension to the HP 5400 zl Switch Series. The 5400R offers enterprise-class resiliency via redundant management and redundant power. Like the HP 5400 zl and HP 8200 zl switch series, it is available in 6-slot and 12-slot chassis, and as a base switch as well as in five bundles with v2 modules. A new management module offers non-stop switching and hitless failover. The nice thing about this capability is that customers are not bound to the chassis type up front. If they decide on redundancy later on, they can attain it simply by adding a second management module. Three new power supplies are introduced that offer N+1 and N+N redundancy. Moreover, full IEEE 802.3at PoE+ power (30W per port) can be supplied to a maximum of 288 ports simultaneously. With a production-grade HP 5406R zl2 switch, less than two months before launching it. The HP 5400R zl2 switch is the only modular (chassis) switch available at the price of a stackable switch. It outperforms the Cisco Catalyst 4500 in nearly every category and comes with HP Networking’s renowned hardware Lifetime Warranty (and 3 years of free software support). Add to that the rich OpenFlow 1.3 capabilities that are offered by the custom ProVision ASIC (with support for SDN applications such as Network Optimizer and Network Protector to name a couple) and you have what it takes to beat Cisco in the Campus.